Has an army of marauding fleas attacked your pets? Have they infiltrated your home? If so you most likely need all of the help that you can get. Yes, there is plenty of advice out there but how do you know what really works? Fear not! The author successfully fought off a horde of pillaging flees and now you too can benefit from the experience. Here you’ll discover how to combat fleas inside the home and outside. You’ll find out which products work like a charm and which products are duds. In the end the invading flea army was exterminated. 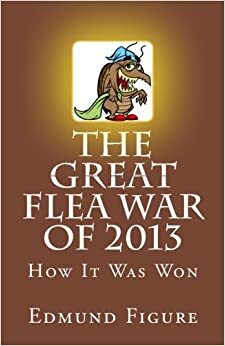 In this entertaining book you’ll read how the Flea War of 2013 was won and soon you too will rid yourself and your pets from the pesky scourge!